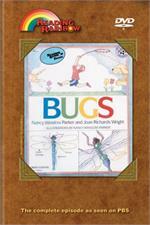 Theme:Insects are amazing creatures that live everywhere–so why not get to know them! 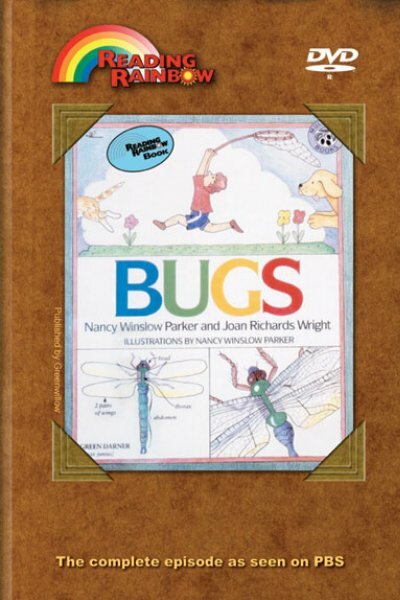 This book includes general information, jokes and descriptions of the physical characteristics, habits, and natural environment of a variety of common insects. With the assistance of an entomologist, LeVar discovers the uniqueness of a wide variety of bugs and insects at the Cincinnati Zoo's Insect World. Viewers take a trip to mountains in Mexico to find out where monarch butterflies go when they migrate for the winter. A CD-ROM and Family Literacy Kit are also avaialble for this episode. LeVar Visits Insect World - With the assistance of an entomologist, LeVar discovers the uniqueness of a wide variety of bugs and Insects at Cincinnati Zoo's Insect World. See the Migration of Monarch Butterflies - Take a trip to the mountains in Mexico to find out where monarch butterflies go when they migrate for the winter. Math Concepts: sorting, classification, nuber sense, symmetry, patterns, counting. Science Concepts: population, census, estimation, averaging, sampling, classification. Click here for Theme Lesson Plan -- "Birds, bats, Bees and Butterflies"
Click here for Theme Lesson Plan -- "Clay Critters"
Click here for Theme Lesson Plan -- "Camouflage Moths"
Click here for Theme Lesson Plan -- "Camouflage Insect Game"
Click here for Theme Lesson Plan -- "Lifecycle of the Butterfly"
Rights granted with purchase include: a) life of media audiovisual use and b) public performance.